I've tried and it's hard: building a team from a bunch of independents with no core that carries the culture. The question arises: are you in for the duration or for just a hitch? Given enough time, those in for the duration can coalesce into a team, absorb a common culture, and attain a degree of efficiency that goes along with a common experience. 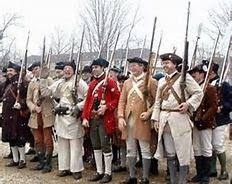 But it's really hard to shuffle the militia in and out for each battle, especially if they are independents, and even more especially if they are another firm that are in for the opportunity as a teammate. This is matrix management writ large! And, to do the hiring you've probably got the HR department in the mix... gasp! We can all think of the reasons why militia teams are problematic, starting with Brooks' Law*: "Adding people to a late project makes it later". If you're going the militia route, plan in the overhead! There's no free lunch that comes with working with independents. Three bodies, but should there be four or five?